Audio recorder in hand, Gebhart and her small troupe of Asheville-based volunteers travel the region capturing the stories of preparing and growing food in the mountains, with hopes of preserving them in a local archive. Narratives are collected through interviews of people who have been nominated or volunteered to share their memories. From farming methods to how to make a proper stack cake, as long as there is a connection to Appalachia, the Storybank is interested. The interviews usually take place in homes, where folks are comfortable. Family members are invited to ask questions too. 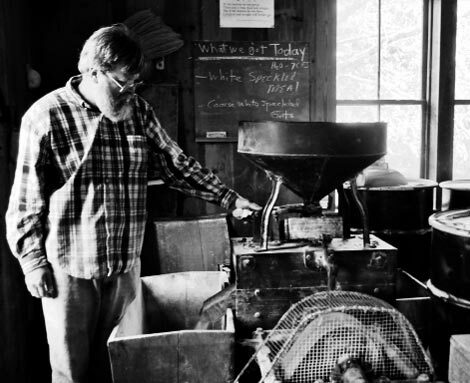 The Storybank’s website features a number of interviews that can be heard, creating a recipe box of Appalachian food traditions.